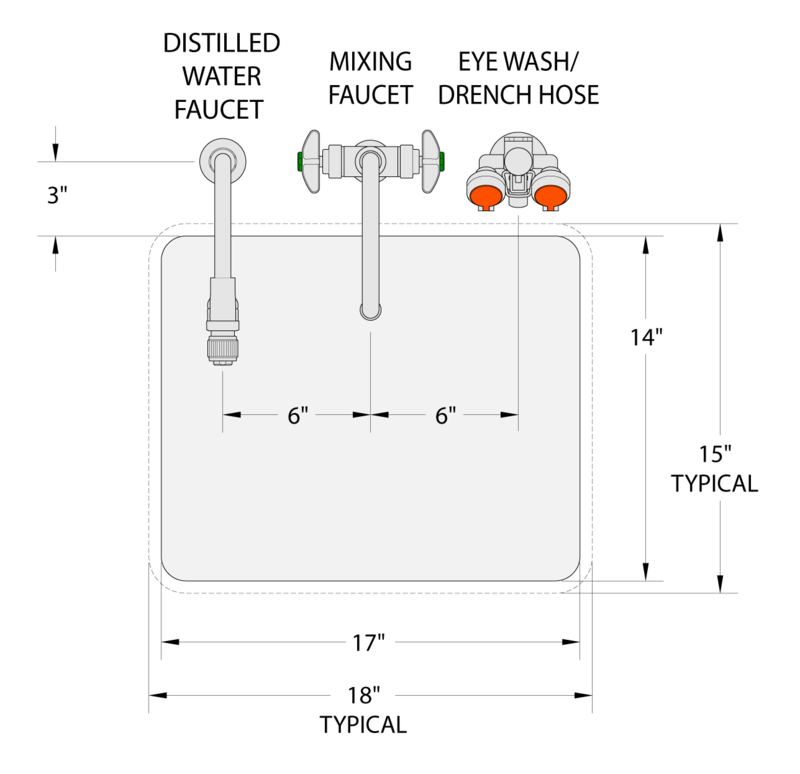 Fixture Spacing – WaterSaver Faucet Co. When laying out fixture groupings, it is necessary to provide ample space around fixtures for equipment to be connected to valves and for laboratory procedures to be carried out. It is also necessary to provide adequate spacing for handle clearances and easy operation of the faucets and valves.